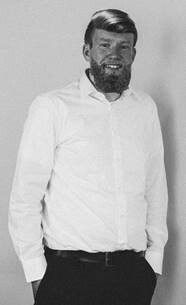 Senior PPC Manager, Craig Edwardson has been browsing grooming products and their competing digital marketing strategies. Battle for the clean-shaved buck! I can’t grow a beard. There, I said it. A monthly, subscription-based, shaving kit service. Dollar Shave Club and Harry’s … but who to choose? Dollar Shave Club first emerged into the market around 2011. In 2012 they launched what many consider to be one of the most successful and memorable YouTube ad campaigns ever to get their story off the ground. With tongue-and-cheek messaging (‘Our Blades Are F***ing Great’) and a simple direct-to-consumer business model, the company has successfully managed to gain a considerable market share, up against some huge brands and over a short period of time. Dollar Shave crept onto the radar of industry giant Unilever and was snapped up in 2016 for a cool $1bn. Nipping at its heels and established in 2013, New York-based Harry’s plays on a slightly more understated brand identity yet offers a very similar product and pricing strategy. As the newcomer underdog, Harry’s is up against a reported 54% US market share currently dominated by Dollar Shave and, as of early 2018, both brands have their eyes set on the UK’s stubble. 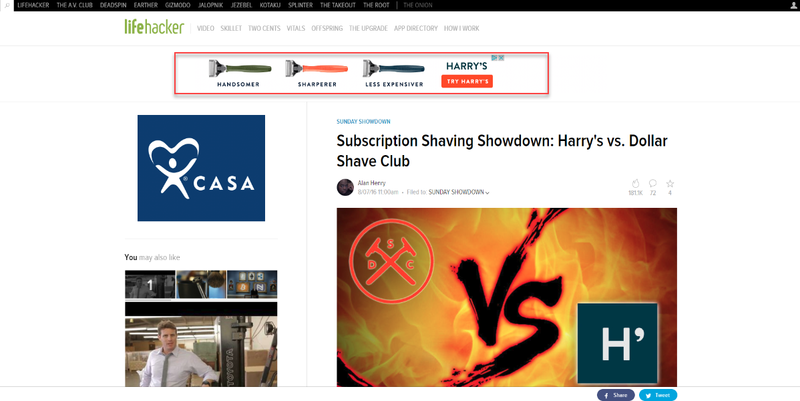 Dollar Shave and Harry’s have both shown evidence of aggressive advertising campaigns as they battle for our shaving subscription loyalty and, as a digital marketer, I can’t help but take an interest in the strategies on show as the two go head-to-head. Digging in to Google Trends is always a nice place to start to establish demand. The key takeaway at surface level would be that Harry’s appears to be the winner in terms of current search interest; however, both brands have nuances in search “popularity” that stand out and warrant further explanation. July 2016 shows a spike for Dollar Shave (nicely matching up with the Unilever acquisition). Setting these, and no doubt other quirks in reasons for fluctuation aside, we can chalk one point up for Harry’s as being in a stronger market position entering 2018, at least in terms of branded search. Search interest for the product is clearly there, so how is this being generated? And (with my PPC hat on) how are both brands responding to the hot trend in online shaving subscriptions? In stimulating demand, we have already discussed the Dollar Shave ad which has now been seen 25m times on YouTube and continues to set the bar high for content creators. If you haven’t seen it, it’s awesome and hilarious. 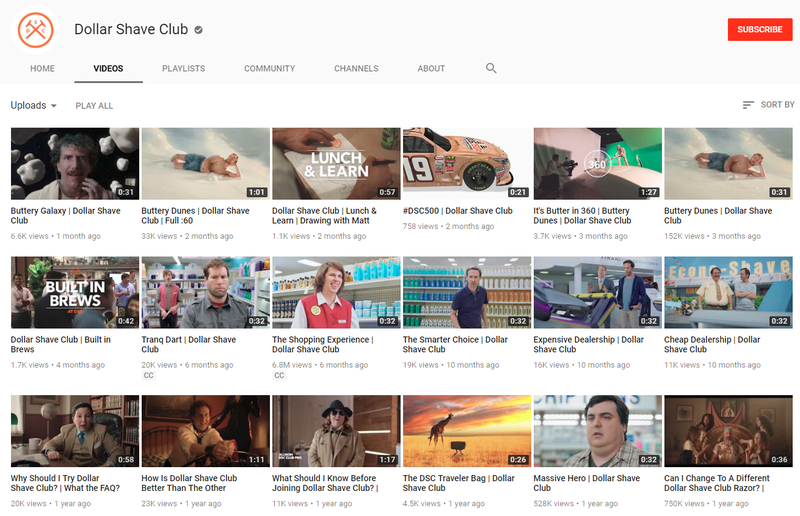 Sticking with a proven form of digital advertising, Dollar Shave has continued to churn out entertaining YouTube content on a regular basis in recent years, earning them over 37m video views channel-wide. That’s ok though. Often advertising can become boring and stale if all brands are simply copycatting and using media budget in the same ways. Dollar Shave has a couple more miles under its belt and has carved out a strategy that has got the brand to where it is now. We also can’t ignore that being a part of the Unilever family must have its perks in terms of ad budget. Looking more broadly at how Dollar Shave and Harry’s are building their respective brands in digital, social media staples Facebook, Instagram and Twitter are be playing active roles in both strategies. Like with YouTube, Dollar Shave Club appears to be more active on Facebook. Importantly, I’ll caveat that that statement is referring to organic content (i.e. the stuff that me and any other Joe Bloggs can see) and, while doing the research for this post I have been hit with a lot of Facebook (most likely remarketing) advertising – mainly for Harry’s. 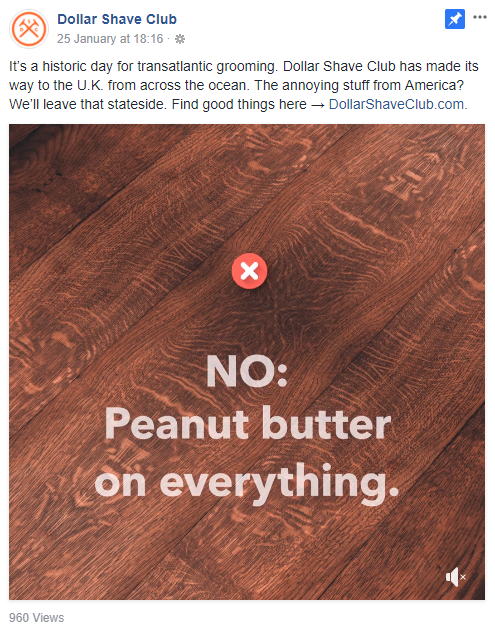 In terms of the content, Dollar Shave announced its entry to the UK market in its usual jovial way; promising to its prospective customers that all the ‘annoying stuff from America’ would be left behind. Digressing slightly, to me this is an interesting consideration of culture which has previously been used by other brands who have entered the, arguably more reserved, UK market such as Enterprise rent-a-car. 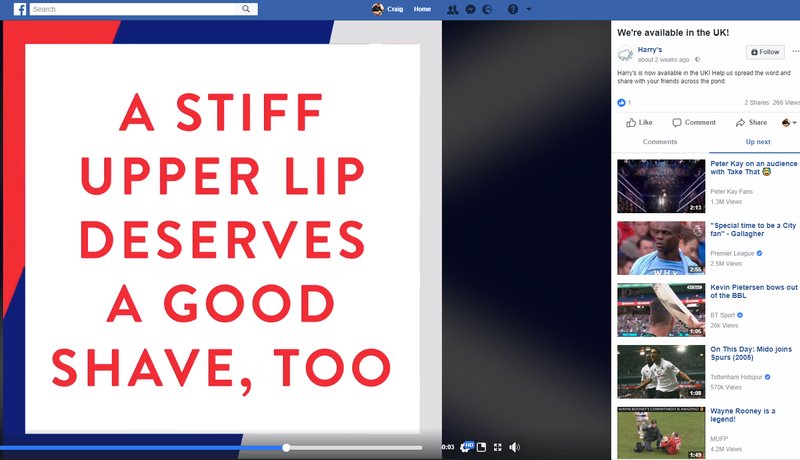 On Facebook, Harry’s announced its entry to the UK market with a short video which again tipped the cap to the Great British culture with reference to a ‘stiff upper lip’. 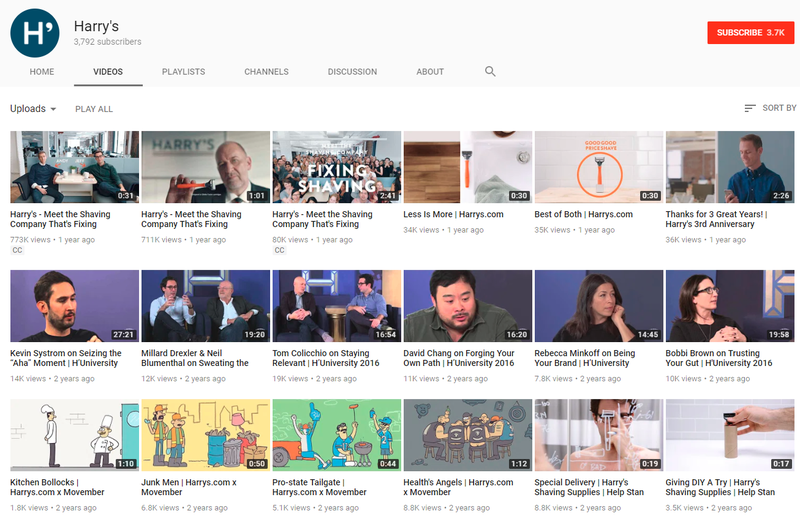 Purely focusing on organic content, Harry’s does appear to be doing less on Facebook and, similar to YouTube, there is less evidence of a clear tone of voice or brand identity. Once again though, to be fair to the younger company, Dollar Shave has the experience and learnings of a slightly more mature brand to bring to the table. My findings so far would suggest that, if I’m basing my purchase decision on digital strategy, Dollar Shave Club is the more favourable option – especially if I’m looking for a product with a bit of personality and a “fun” shaving experience. That being said, and taking the initial Google Trends data into consideration (and ignoring skewed figures from an upcoming Royal Wedding), Harry’s did appear to be more popular in terms of search volume. As a digital marketer who specialises in paid search, I’m often tasked with one of two objectives: increasing brand awareness or responding to search demand. So, if Harry’s isn’t shouting as loud as Dollar Shave Club, perhaps they are in the driving seat when it comes to keyword targeted pay per click (PPC) advertising? Taking live data from SEMRush, Harry’s is spending approx. $7k and driving 11,000 users during any given month. This is significantly higher than the investment and subsequent traffic that Dollar Shave Club is receiving on a monthly basis (approx. $1.3k and 1,600 users). Google Trends clearly show that Harry’s is winning the war in terms of search interest so we would expect to see a higher volume of PPC traffic with this digital strategy also being linked to search demand. It is worth noting that Harry’s does appear to be receiving a considerable volume of PPC traffic from searches for the Prince (this is a bit of a recurring theme). 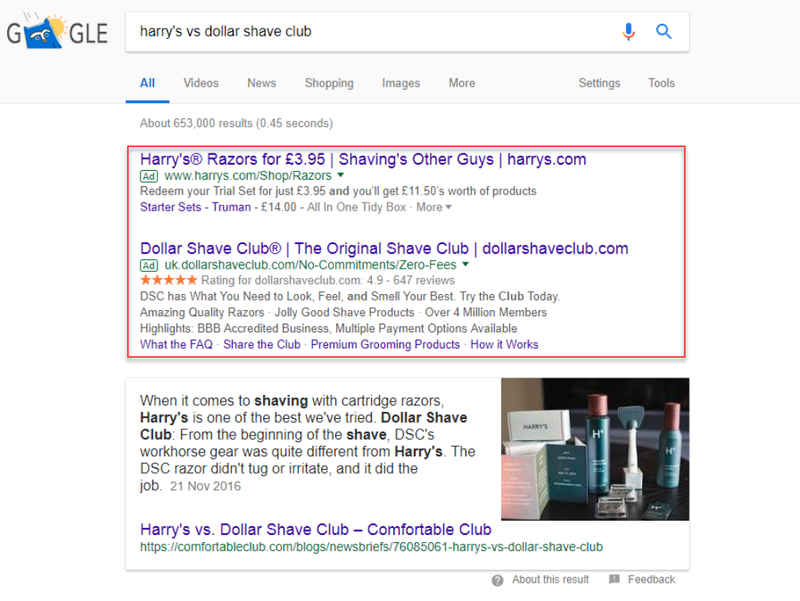 However, side by side, according to Google’s keyword planner ‘Harry’s razors’ is searched for 27,100 times per month vs. ‘Dollar Shave Club’ at 6,600 searches. To me, this is perhaps the strongest evidence that Harry’s is outplaying Dollar Shave Club in terms of PPC strategy. Google will categorise this search query as containing a branded keyword for both advertisers – meaning that notion of Google AdWords Quality Score is perhaps downplayed and that this is purely a bidding war (read: a PPC account paying closer attention to detail). In addition to this, a click-through on this topic took me to a comparison article on Lifehacker where, staring me straight in the face, was a Harry’s display ad. Whether this was the efforts of a remarketing campaign, contextual keyword targeting or pure chance from a blanket audience targeted campaign; Harry’s had another chance to influence my research experience. I could probably write more about this topic that I have become weirdly passionate about over the past couple of hours, but I’ll round things off with my final thoughts. Dollar Shave Club wins the creativity war with a fun, entertaining brand identity. Leading the charge in terms of YouTube advertising and sticking to their guns, the brand is now looking to replicate its blog-worthy success in the US across the pond. Harry’s is very much the newcomer and, while it may still be cutting its teeth in terms of identity, it is some way behind its competitor in this regard. However, in terms of pay per click advertising, there is an argument that the new(er) kid on the block is capitalising on the growing demand for a ‘subscription razor service’ that Dollar Shave Club is doing a better job of stimulating. It will remain to be seen who comes out on top as both companies begin their market expansion onto British soil in the coming months. My vote? Guess I’ll try them both and let you know. Are you up against a savvy competitor online? Click here to get in touch with our digital team to find out how we can help.